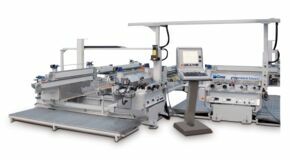 Double straight edging machine with cup wheels for maximum quality. Can be equipped with automatic loading and unloading systems and automatic paper interleaver. Double round edging machine with peripheral grinding wheels for maximum productivity. 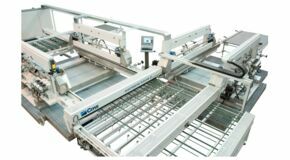 Can be equipped with automatic loading and unloading systems and automatic paper interleaver.